The ABC has decided to rest The Checkout this year but insists it has not ruled out commissioning a new season of the consumer affairs show in future. That contradicts claims by the producers Giant Dwarf the new series had been axed shortly before it was due to go into production. 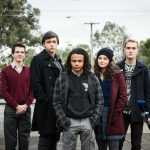 Executive producer Julian Morrow said the ABC had dropped the series, which launched in 2003 and has run for six seasons, moving this year from Thursday to Tuesday night, due to budget cuts and high production cuts. An ABC spokesman told IF: “The ABC has decided not to commission a seventh series of The Checkout for 2018-19 at this time. The programming slate regularly changes for any number of reasons, including the need to strike a balance between new and returning programs for audiences. The broadcaster was responding to a statement issued by Morrow which said: “It’s true The Checkout’s combination of thorough research and creative ways to present consumer information means it’s not as low cost as some other ABC programs. But the cost of making the program has not increased for two years and the next series would have cost the same or less. He said the program was shaped by information sent in from ABC viewers of all ages, including tales of rip-offs, corporate double speak and advertising fails ranging from the sinister to silly. “The rip-offs will continue but unfortunately it seems The Checkout will not,” he concluded, while thanking viewers for their input and support.